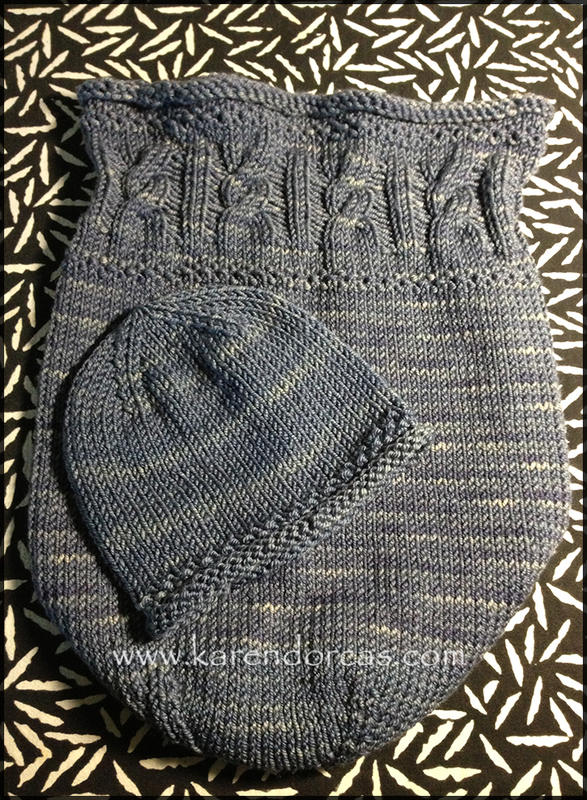 The last month during my back/forth time to/from Anchorage/Kenai... had me working and completing a couple of knitting projects as gifts. 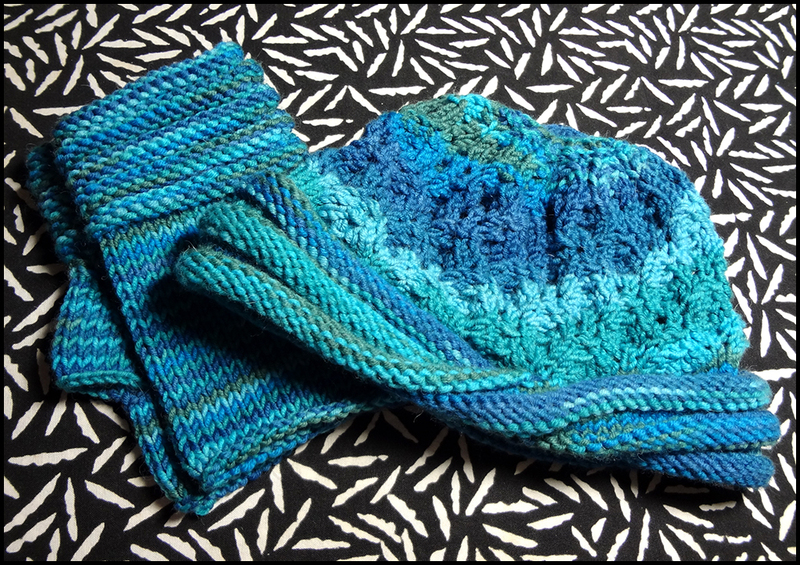 The blue twisted ribbed hat and fingerless mitts will be given as a BD gift the end of the month; the baby snuggle sack in denim heather is going out the "door" Monday; and, the brown twisted rim hat will be saved for Christmas. I am now 2/3rds complete on the pink Rivulet so quite a bit further than the photo below - once it is "blocked" it will be lovely. grandbaby "to arrive on 15th." in one of my four (thus far) snuggle sacks. Thank you, Hanna, for the fabulous photo. Beautiful work!!! I love them all and am amazed that you already have something done for Christmas!!! And that little sweet bean in that sack is beyond adorable!!! 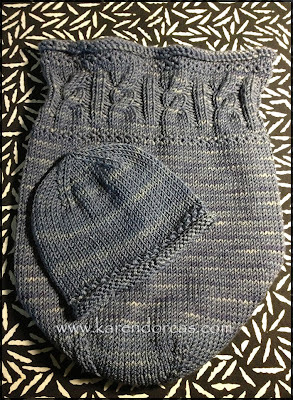 Beautiful work..Karen! I don't knit but kind of makes me want to.. It's so wonderful to see a babe actually snuggled in a snuggle sack - adorable! 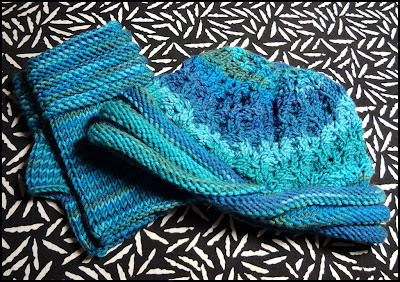 You do such lovely work - not only are the patterns great, but the yarn colors are gorgeous! You've been knitting up a storm!! I love all of your projects. 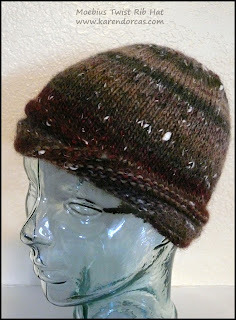 The hat and scarf are so pretty-- beautiful yarns. 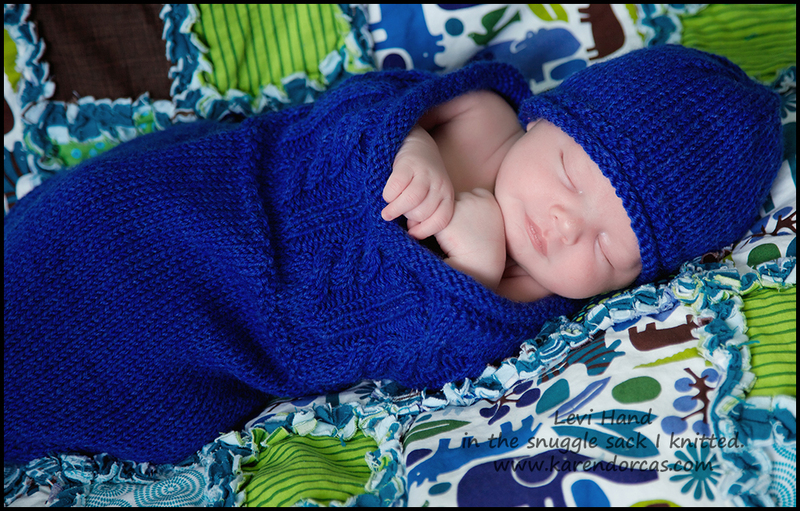 And the baby snuggle is just precious-- it's the most perfect gift.